End Products: Washing Brush, Shoe Brush, Paint Brush. 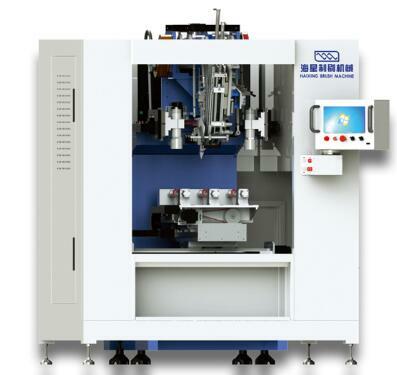 3 Axes, 2 drilling heads, 1 tufting head, CNC Brush Making Machine. This machine has been well accepted by the market. High speed, high stability, low failure, it is suitable to produce washing brushes, nail brushes, shoe brushes, hair bushes, rod brushes of vacuum cleaner, and so on. * It is suitable to produce brushes with hole size 1.8~4.0mm, filament length within 40mm. * It is very easy to create a new brush program. Looking for ideal Washing Brush Machine Manufacturer & supplier ? We have a wide selection at great prices to help you get creative. All the Shoe Brush Machine are quality guaranteed. We are China Origin Factory of Hair Brush Machine. If you have any question, please feel free to contact us.